Rev. Noelle Damico (United Church of Christ) is an activist educator and movement builder with the Alliance for Fair Food.[http://www.allianceforfairfood.org/]. 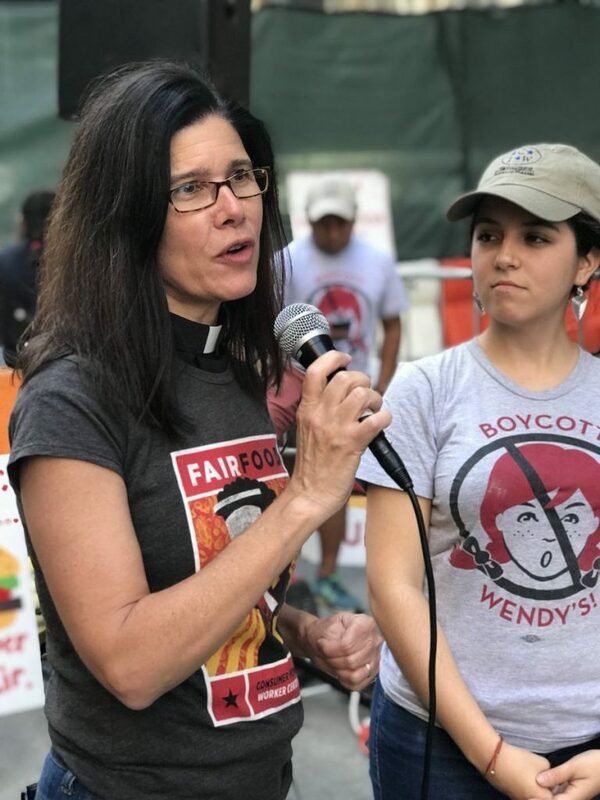 She coordinated the 2 million member Presbyterian Church USA’s involvement in the Coalition of Immokalee Worker’s Campaign for Fair Food [https://ciw-online.org/], among many other food justicecampaigns. This podcast takes place in an actual class setting, my Religion and Ecology class at Agnes Scott College, a historic women’s liberal arts college in Decatur, GA. Noelle joined us via Skype in our unit on connecting issues of economic justice to the larger topic of sustainability. What is often missing in mainstream discussions of the organic food movement is workers. Noelle takes us through the founding of the Coalition of Immokalee Worker’s campaign and the “sea-change” it brought, and continues to bring, in the food system, to create a system that works for all people. 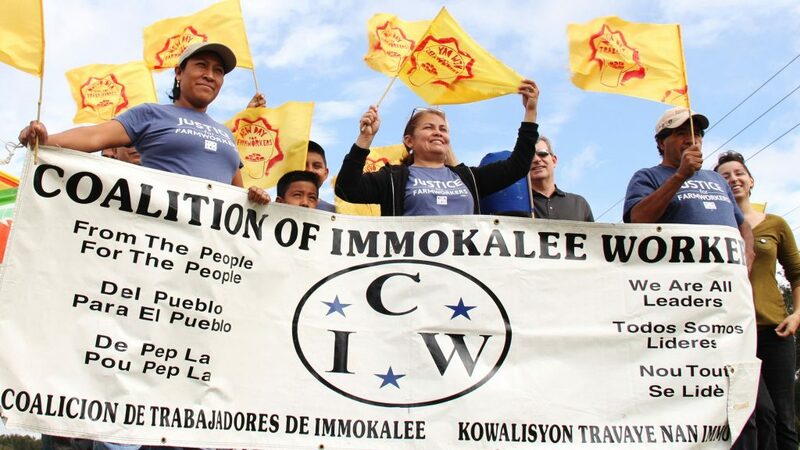 Issues of safety, forced labor, human trafficking, gender violence, poverty wages, wage theft, and worker abuse are all parts of the history of injustices that CIW addresses. A worker-driven social responsibility model begins at the work site, determined by the workers who become organizers and change-agents through marches, education tours, hunger strikes, boycotts, and other direct actions. Joining CIW are faith leaders and students as partners. One outcome on university campuses has been the cutting of contracts with Taco Bell on over 25 campuses. The current Boycott Wendy’s campaign [http://www.boycott-wendys.org/] seeks to continue to move companies beyond their “corporate responsibility codes” to real food justice. The CIW campaign has shown that changing the conditions in the field is at the root of a sustainable food future. Pedagogy is an action verb here. On my campus the tomatoes in our dining hall are part of the fair food system; Aramark was (reluctantly but eventually) one of the signers. But our Aramark dining staff continue, through their own worker-driven campaign, to fight for fair wages and a workplace that offers respect and human dignity (through their union, SEIU). Though unionized, their struggle is difficult. Thus, fair farm and campus food workers are connected. As part of the class students engage in a practicum with the campus Office of Sustainability in a variety of areas (climate change events, organic farming, National Audubon wildlife site, bees, and also economic justice with the campus Living Wage Campaign). One student working with the campaign joined the Aramark union steward and me on the WRFG Labor Forum, as well as our Economic Justice Teach-In. 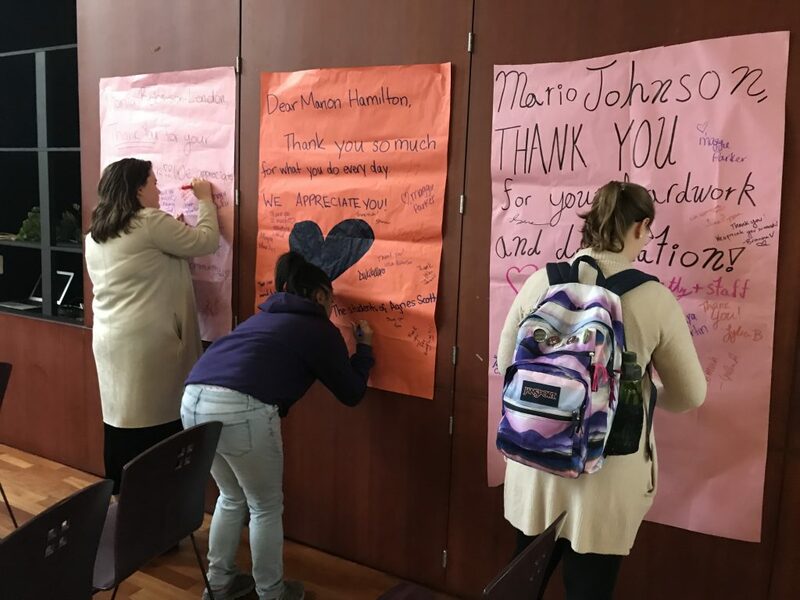 She also assisted with our “love poster” action in the dining hall for the staff—big posters we are hanging each week, signed with notes of appreciation and affection by community members, for each dining services staff member. My audio engineers are: Reagin Turner, China Wilson, and Megan Simmons. I can be reached at tpippin@agnesscott.edu.